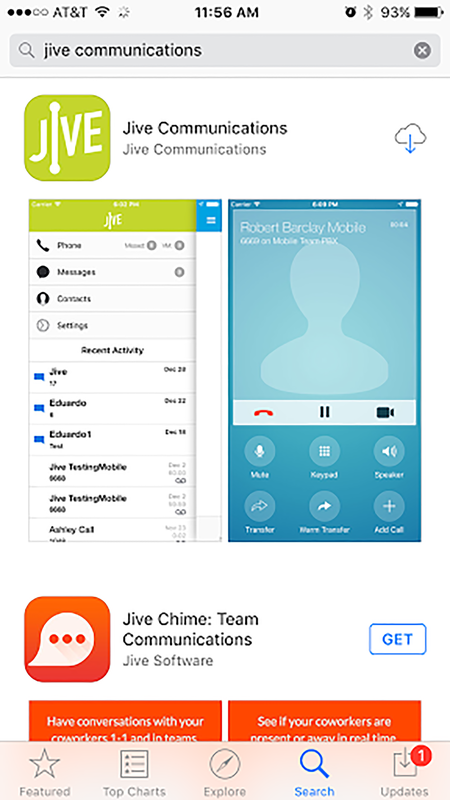 Search for "jive communications" within the App Store. Tap [GET] for the Jive Communications app. The app will then appear on the home screen. Microphone Gives the app access to use the device microphone. 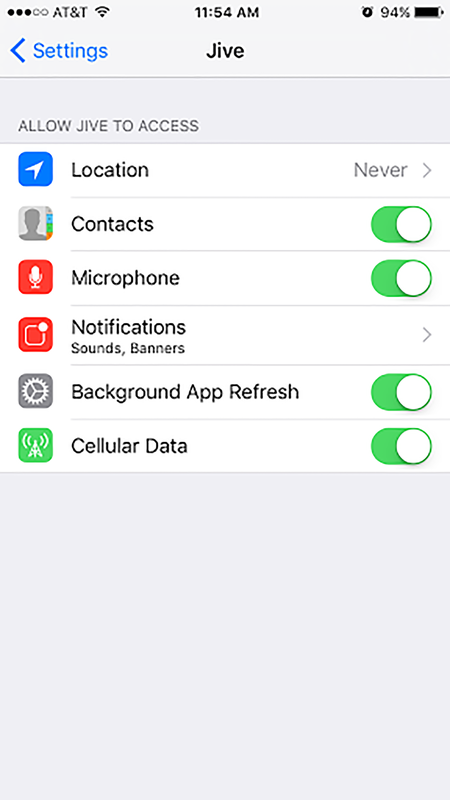 Notifications Defines app notification settings. Background App Refresh Allows the app to refresh when it is in the background. Use Cellular Data Allows the app to use cellular data when not connected to WiFi. Note: Jive recommends all of the above be switched "on" in order to not limit app functionality.